My boss just asked me, "do you have a weapon on you?" 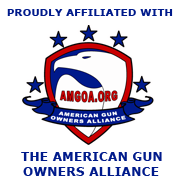 pa2a.org » The Armory » General Gun Discussion » My boss just asked me, "do you have a weapon on you?" This caught me off guard because he agreed to let me conceal carry about 2 years ago. I was worried about the question because he had a concerned look on his face, and I thought maybe he was going to change the policy. I said, "what kind of question is that?" (implying that I obviously DO have a gun, as I've carried everyday since the policy changed). He says, "I asked you if you are carrying a weapon." He says, "unload it and show it to Chris, he's really into guns." bac0nfat;59679 Wrote: This caught me off guard because he agreed to let me conceal carry about 2 years ago. I was worried about the question because he had a concerned look on his face, and I thought maybe he was going to change the policy. Oh man, I got nervous just reading that. I'd probably have said something like "not on me, it's locked up in the car", but those are the rules where I am (the car is off company property). I often talk guns with the guys at work. The other day the brew master stopped me to tell me about a gun he picked up for his son. He said he will bring it in to show me. I remind him about the no weapons policy they recently put in place. He says thats ok he will keep it in his car. If I knew people were walking around with guns, I'd be afraid to leave the house! Where do you work? I don't ever want to be around there! "No, I'm carrying 'loss of life prevention' hardware"
We have gun show and tell all the time at work! Back counter parts guys had an old MAS 36 yesterday that he was showing around. Almost everyone carries too.